When You Answer the Telephone, What Do You Say? 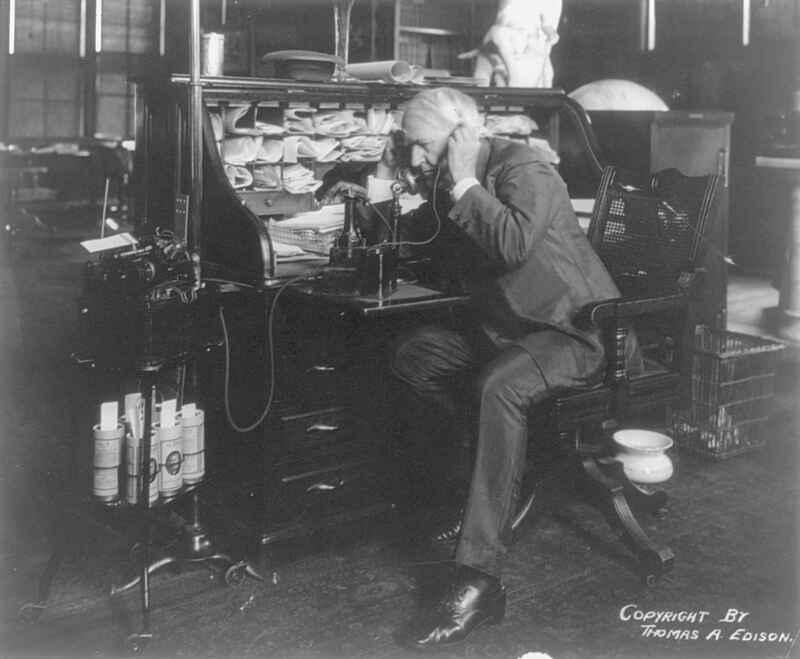 Edison’s thinking was that a bell was not necessary: The word “Hello” was sufficient to get the other party’s attention. It seems that we got the ringer anyway—as well as the word Hello. It’s far better than what Alexander Graham Bell was planning to use as a greeting: “Hoy! Hoy!” By the time the caller stopped laughing, the call recipient would have hung up in frustration. Nowadays, most of the calls I receive begin not with a greeting, but a click as some sort of machinery cranks up the robocall script. Perhaps I should just say, “Hoy! Hoy!” and hang up at once. This entry was posted in history and tagged alexander-graham-bell, robocalls, telephone, thomas-edison. Bookmark the permalink. I usually say something else when I hang up. Actually, so do I. And it isn’t nice, either.